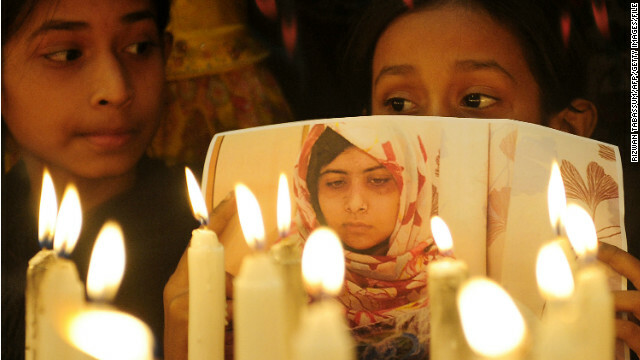 Malala Yousafzai, the Pakistani girl shot and wounded over her advocacy for the education of girls in her country, is "recovering very well, very fast," her father said in a CNN interview Friday. Speaking in an interview with CNN's Becky Anderson, Ziauddin Yousafzai said his daughter - who he described as "strong" and "fit physically" - has had an international impact. "When she was stopped and the militants wanted to stop her locally, they could not succeed. Because now she is a global icon for the rights of the girls...," he said. Gordon Brown, U.N. special envoy for global education, was a participant in the interview. He said July 12, Malala's 16th birthday, would become "Malala Day." That is indeed good news. Our prayers & well wishes for her. Good. May she recover completely. Good luck with hollydays dearest girl.I WIsh you all the best.p.s.ask danish goverment to come here:us@us.dk.